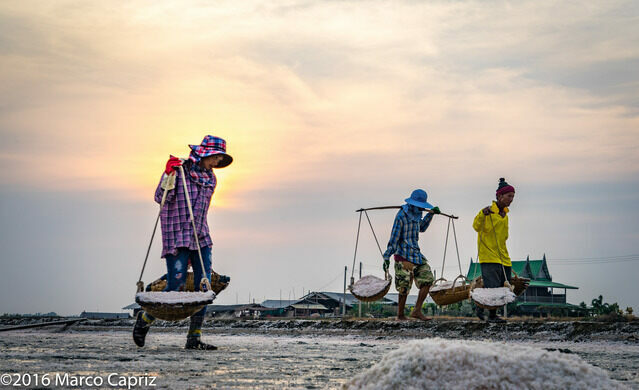 Between the coastal Samut Songhkram and Samut Sakhon provinces of Thailand runs a road flanked on either side by a glistening sea of white. 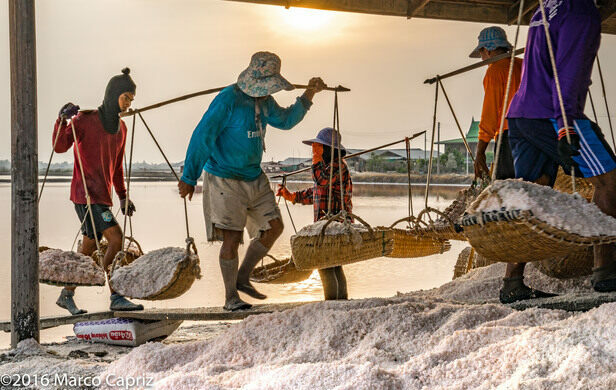 Several salt farms lie along the the “salt road,” as it is sometimes called. Their combined output make the area the largest producer of the mineral in the country. The farms work seasonally. Sea water is pumped into the fields and is allowed to gradually evaporate during the dry season between January and April. 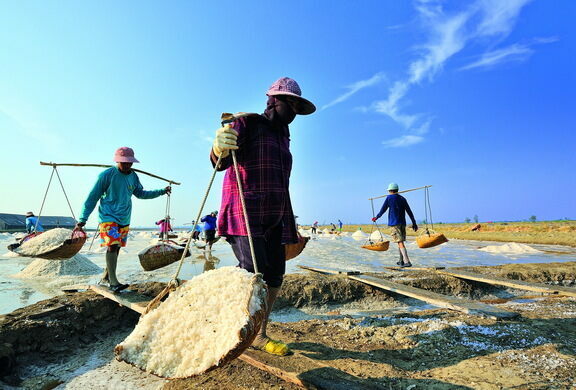 When the water disappears and leaves behind dazzling white crystals, laborers step in. The work is backbreaking and labor-intensive. 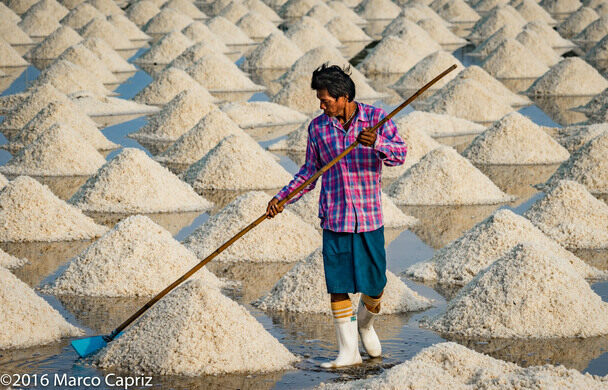 Women are typically engaged in scooping the salt into baskets. The men carry a pole with the baskets attached to both ends on their backs to storerooms and godowns. 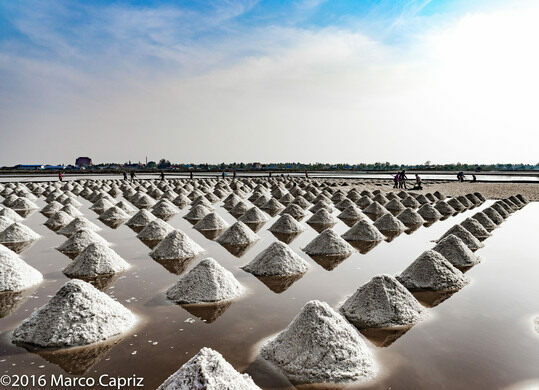 The striking salt fields are a popular photo stop for visitors driving along the highway, especially during the drying season, when acres and acres of the landscape are covered with piles of salt. There are many roads along the coast and the best way to access these farms is by car. Many locations. Here are some coordinates: 13.167462 100.047601; 13.171277 100.034070; 13.310442 99.934726. Most areas around these coordinates are worth a photo trip.